These makeup tips and tricks will keep your face looking flawless. 1. To begin, make sure your face is properly washed and moisturized before applying any makeup products. 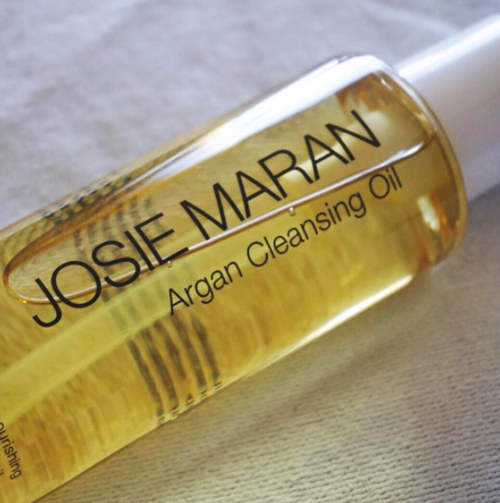 Skin that is clean and free of dead skin will allow makeup to go on more smoothly. 2. After washing and moisturizing your face, consider using a makeup primer. 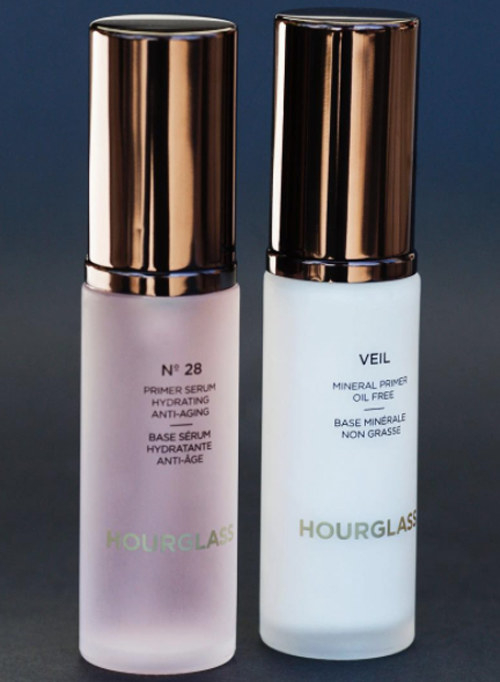 A makeup primer will prep your skin and create a long-lasting base for foundation or tinted moisturizer. 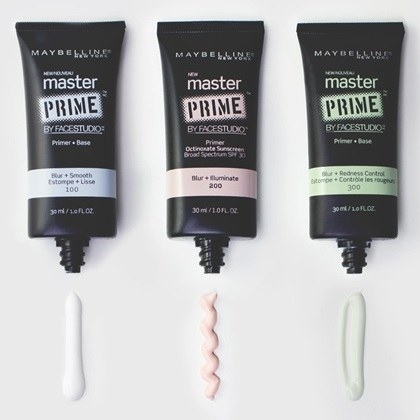 You can try Maybelline Primer ($7.21 from Amazon), Sephora Collection Primer ($15 from Amazon), or Hourglass Primer ($54 from Amazon). 3. If you want to use foundation to even out your skin tone and texture, it is important that you learn your skin’s undertone. Knowing your undertone will guarantee you choose the best foundation to blend in with your own skin tone. Undertones are divided into the categories of cool, warm, and neutral, with many makeup companies labeling their foundations to identify the category they fall in. 4. You also need to know your skin type. Knowing your skin type will ensure you choose makeup products that will give you the best coverage. For dry skin, try L.A. Girl Concealer ($2.38 from Walmart), CoverGirl Foundation ($13 from Amazon), or Bobbi Brown Concealer ($39.99 from Amazon). For oily skin, try Black Opal Concealer ($5.25 from Black Opal Beauty), L’Oreal Foundation ($9.61 from Amazon), or Make Up For Ever Concealer ($34 from Sephora). For combination skin, try Neutrogena Makeup ($8.99+ from Amazon), CoverGirl Foundation ($7.27 from Jet), or Smashbox BB Water ($42 from Sephora). ($35 from Nordstrom), or Bare Minerals Foundation ($29 from Sephora). 5. After choosing your foundation, use a sponge or brush to apply the product to your face. You can get a set of five makeup sponges from Amazon for $9.99 — and they are a great dupe for the more expensive Beauty Blender sponges used by many makeup professionals. But if you prefer to use a brush, you can get one from Amazon for $6.54. 6. Once you have your brush or sponge, use your foundation to cover up blemishes and red spots on your face. Tailor the amount of foundation you use to fit your skin needs. Use a heavier application for skin that needs more coverage. Or you can use lighter layers if you only need to address spotty problem areas. 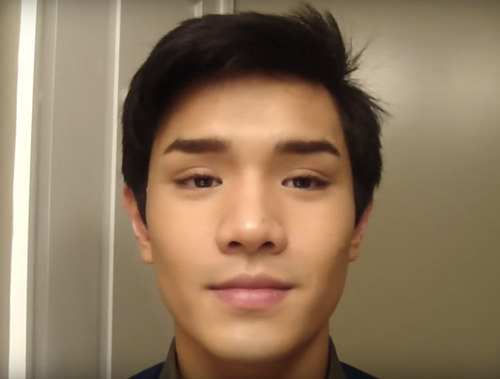 Watch a full tutorial on applying foundation on YouTube by The Beauty Boy here. 7. But be sure to dab your foundation instead of just rubbing it into your face. This will help you make sure the product is spread evenly over your face. 8. Using a tinted moisturizer is also a simple way to help even out your skin tone and manage oily skin. Apply the product over your face with your fingers — just like you would your regular, non-tinted moisturizer. Remember it takes a small amount to achieve your desired glow. Try Nars Moisturizer ($45 from Sephora), Lab Series Moisturizer ($44 from Bloomingdale's), or Laura Mercier Moisturizer ($45 from Laura Mercier). 9. You can use concealer as a quick fix for dark circles and discoloration under your eyes. You can get a concealer brush from Nordstrom for $15 for easily application. Watch a full tutorial on using concealer on YouTube by Salihs World here, or read a helpful list of concealer tips and tricks here. 10. To give your eyebrows the perfect shape, just use an eyeliner pencil to fill them in. For a natural look, choose an eyebrow pencil that's the same shade as your hair color. Just make sure to use a waterproof formula to keep sweat from ruining your look. You can try Revlon Eyeliner ($5.67 from Amazon), L'Oreal Paris Eyeliner ($6.63 from Amazon), or Too Faced Eyeliner ($24.99 from Walmart). Or you can use Charlotte Tilburry Brow Lift ($30 from Charlotte Tilburry) — which is a three-piece tool that lets you shape, lift, and shade in your brows. 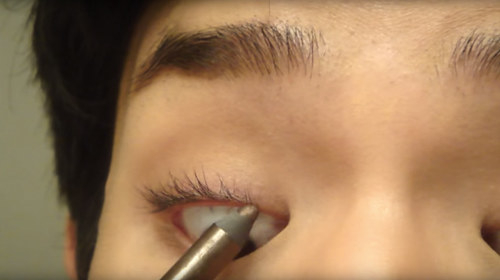 Watch a tutorial on filling in your eyebrows on YouTube by Justin Locs here. 11. 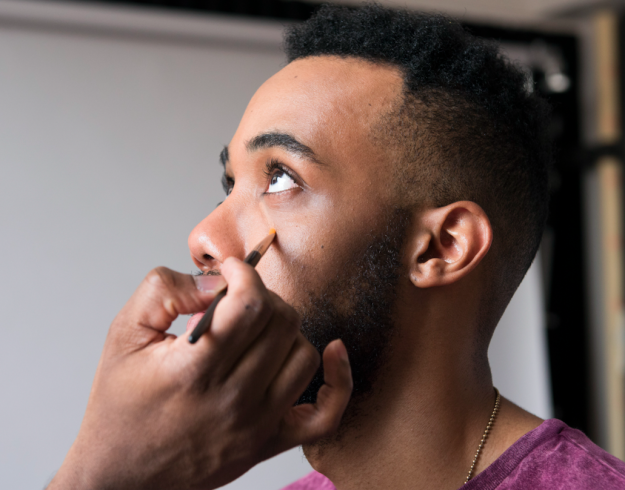 You can even use an angled eyeliner pencil to to fill in your beard. To pull off this trick, pinpoint the areas of your beard you’d like to be fuller, using light pencil strokes to shade in those spots. It may take some extra time to draw the hair-like lines on your face. But the added detail will make for a more natural look. 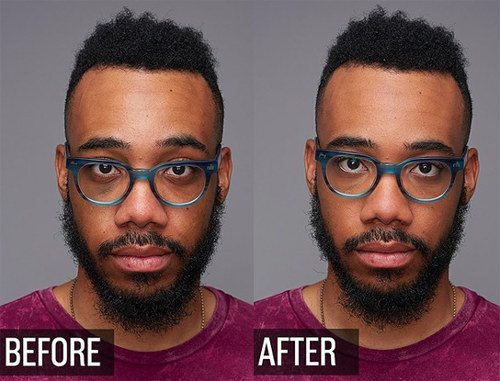 Watch a tutorial on filling in your beard on YouTube by Colin Jay here. 12. Eyeliner is an easy way to enhance your eyelashes a little, as well. To get this look, you can apply eyeliner to your upper waterline — which is the area between your eye and your lashline. The liner will be masked behind your upper lashes, giving them a fuller appearance. Watch a full eyeliner tutorial on YouTube by Will Cook here. 13. You can put a little life back into your dry lips, especially during the winter months, with a tinted lip balm. Simply find a color that gives your lips a subtle boost of color — like a shade from the Burts Bees Tinted Lip Balm line ($7.49 from Target). Then lock in moisture by adding a layer of a clear lip balm like Jack Black Intense Therapy Lip Balm ($7.50 from Jack Black) on top of the tint, lightly blotting your lips to reduce shine. 14. Up for a bigger makeup challenge? You can contour your face to make your features really stand out. Contouring involves the use of different makeup shades to shape and define facial features like your nose, cheeks, and eyes. To give contouring a try, invest in a contouring palette like the Anastasia Beverly Hills Contour Kit ($40 from Sephora), which is a go-to for makeup artists worldwide. You will also need a contouring and highlighting brush set ($21.97 from Amazon). However, if you want to save some dollars, try the Makeup Revolution Contour Kit ($15 from Ulta). Or you can buy an individual bronzer and highlighter instead, using the products with your brush set to complete your sculpted look. Watch a full tutorial on men’s conturing on YouTube by Muaroni here. 15. 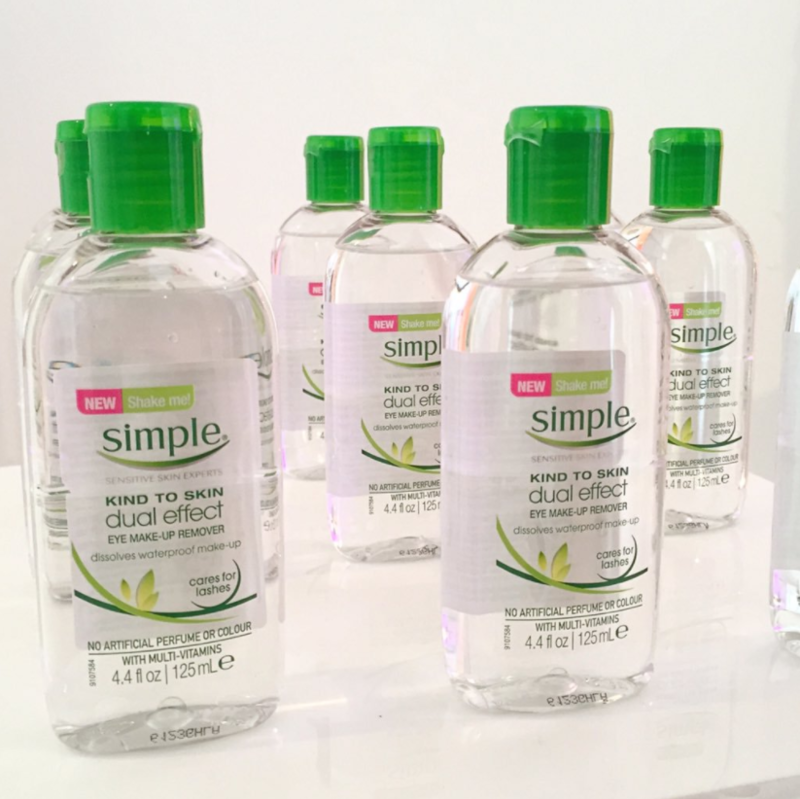 Once you've finished your work, you can use a setting spray to give your makeup extra staying power. 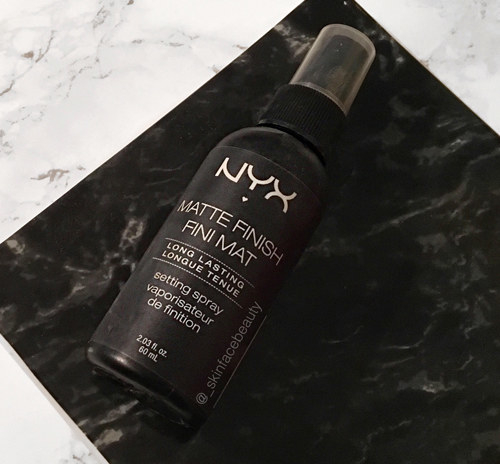 A spritz of setting spray will make sure your face doesn’t go into full meltdown mode during the day — because struggle makeup is never a good look! You can try NYX Setting Spray ($5.99 from Target), Mac Finishing Mist ($26 from Nordstrom), or Urban Decay Setting Spray ($22.99 from Amazon). 16. Always make sure to wash all of your makeup off at the end of the day. Removing your makeup before bed each night will help avoid breakouts caused by clogged pores. Sleeping in your makeup can also cause premature aging by it breaking down healthy collagen. 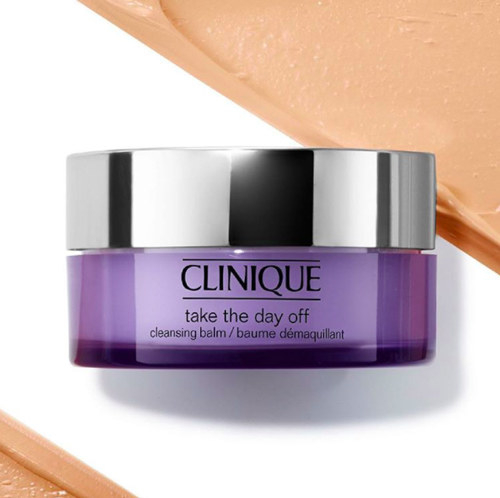 To wipe away face makeup, you can use a liquid cleanser like Josie Maran Argan Cleansing Oil ($32 from Sephora) or a remover like Clinique Take The Day Off Cleansing Balm ($29 from Sephora). 17. You can use makeup wipes in combination with these products. But it is recommended you use your cleanser first to break down the makeup, using the wipes as a second step to remove any leftover product on your face. 18. Also give your eyes special attention when removing your makeup. 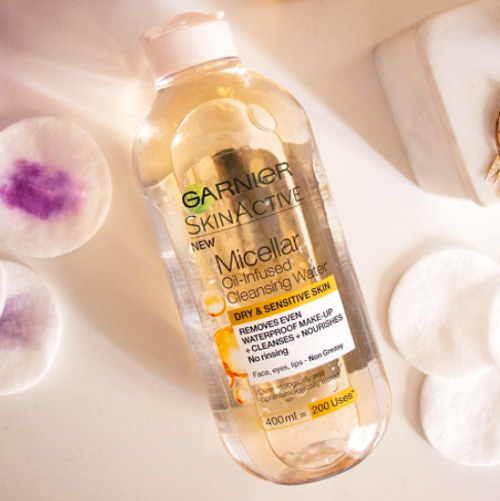 Because eye makeup can be tougher to remove, try using a cotton pad soaked with a oil-infused remover like Garnier Micellar Oil-Infused Cleansing Water ($8.50 from Beauty Expert) or Simple Dual Effect Eye Make-Up Remover ($8.42 from Jet). The mix of oil and water in these products works to gently loosen eye makeup and pull leftover dirt and other impurities from the eye area. 19. But be sure not to scrub too hard to avoid damaging the skin around your eyes — which can lead to fine lines and wrinkles. Watch a tutorial on removing eye and face makeup on YouTube by Edgar's Makeup here, or read a list of tips from Birchbox here. 20. And one final note, please make sure to routinely clean your makeup brushes and sponges. Use Johnson's Baby Shampoo ($4.92 from Amazon) to wash brushes and prevent bacteria from building up on them. You should also clean your sponges at least once a week with liquid or solid soap. Watch a full tutorial on cleaning them both on YouTube by Ashley Chantel here. Now go ahead and take your glow to epic new levels!